James Cameron’s Alita: A Battle of Four Angels! Following to several years of development, James Cameron was giving the directorial reins to Robert Rodriguez, with James Cameron and Jon Landau producing through their Lightstorm Entertainment company. Today we have a new update on this long project, which reveals that 20th Century Fox is near to finding its leading lady. The Hollywood Reporter uncovers that the Century Fox is zeroing in on its finalists for the title role. Actresses who have examined thus far include Zendaya Coleman, who recently landed a leading role in Spider-Man: Homecoming, Bella Thorne (The DUFF), Maika Monroe (Independence Day: Resurgence) and Rosa Salazar (The Maze Runner: The Scorch Trials). Sources assert that Zendaya Coleman may be the most likely winner this time, but the actress may have some scheduling difficulties with her hit Disney Channel TV series, K.C. Undercover. The site’s sources also state that James Cameron and Jon Landau want Alita: Battle Angel to be a “star-making vehicle” for an up and coming young actress, in the same way that their TV series Dark Angel launched the career of Jessica Alba. A final decision on who will star in the movie is expected to be made over the next few weeks. The movie still doesn’t have an official green light from 20th Century Fox yet, since the studio is trying to bring the budget down, which is currently between $175 million and $200 million. Based on the graphic novel series by Yukito Kishiro, Alita: Battle Angel is set in the 26th Century, with the story centering on Alita, an amnesiac female cyborg who is rescued from a junkyard by a doctor. The cyborg is rebuilt, only remembering her martial arts training, as she is programmed to hunt and take down violent criminals while she goes on her own journey of self-discovery. James Cameron co-wrote the screenplay with his Avatar co-writer Laeta Kalogridis, but it isn’t known if Robert Rodriguez has been re-writing the script as well. 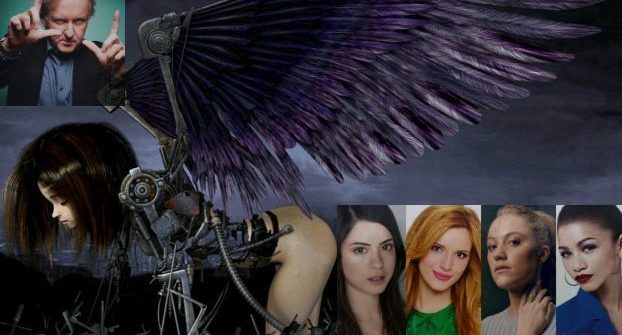 20th Century Fox hasn’t issued a release date for Battle Angel quite yet, and it isn’t known when production may begin. It seems that after a decade of development, Alita: Battle Angel is finally getting close to going before cameras, but we’ll have to wait and see who will be named the lead actress. Be sure to stay tuned for more updates on Alita: Battle Angel.